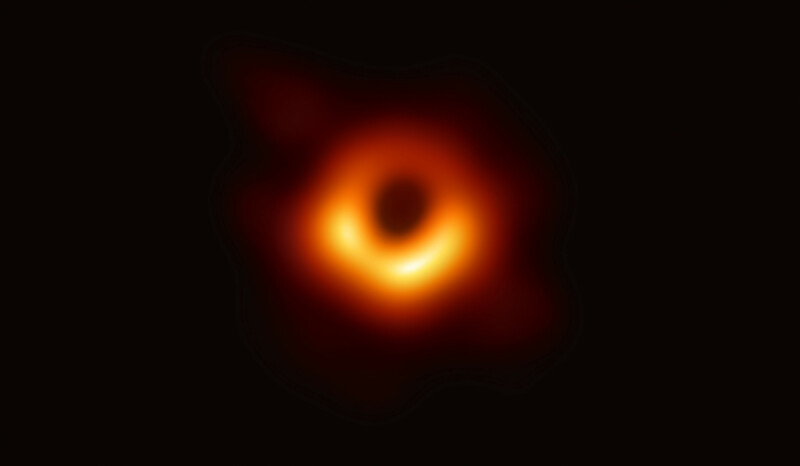 This is the first-ever image of a black hole. Captured by the Event Horizon Telescope, or EHT, it reveals the supermassive black hole at the center of Messier 87, a massive galaxy 55 million light-years away. Black holes are extremely compressed cosmic objects, containing extraordinary amounts of mass within a tiny region. (This one contains 6.5 billion times the mass of the Earth’s sun.) This mass is shrouded by an event horizon, the boundary beyond which nothing—not even light—can escape from the black hole’s powerful gravitational pull. General relativity predicts that a black hole will cast a circular shadow on the bright, superheated material around it. This image reveals the shadow. The EHT links eight telescopes around the globe to form an Earth-sized virtual telescope with unprecedented sensitivity and resolution. This achievement was made possible, in part, by leadership and funding from the Center for Astrophysics | Harvard & Smithsonian. Learn more at the Event Horizon Telescope project website.